You Need This For Your Vegan Valentine! Our Spread the Love Valentine's Day Gift Set is just what you need to show the vegan cutie in your life exactly how much you adore 'em. Answer: LOTS. 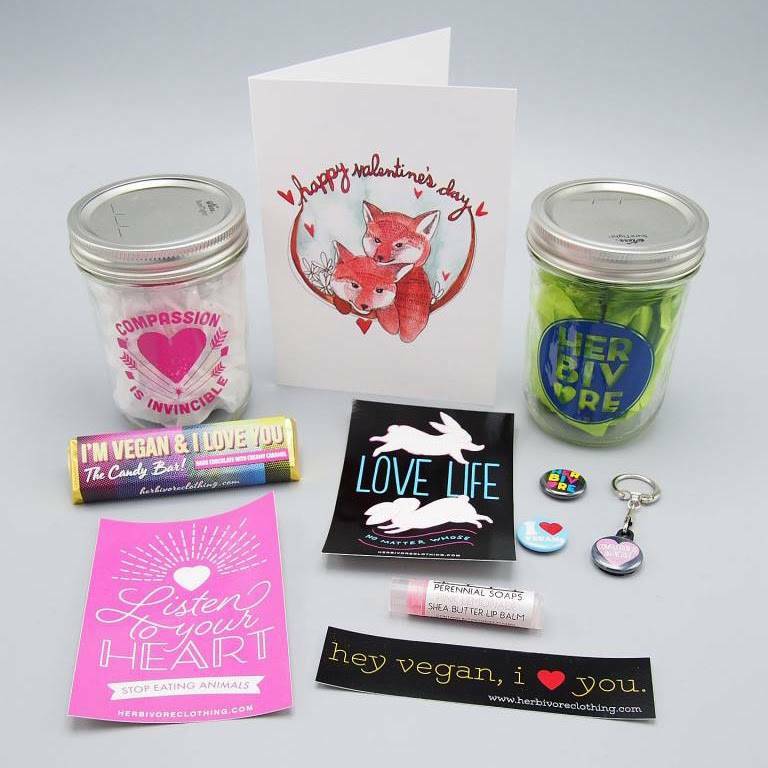 Choice of jar, stickers, buttons, key ring, lip balm, card and our CHOCOLATE CARAMEL CANDY BAR that proclaims YOUR VEGAN LOVE! PLUS CARAMEL! ORDER THIS WEEK AND GET IT BY VALENTINES DAY! !